Are you struggling to meet the innovation needs of your data center? 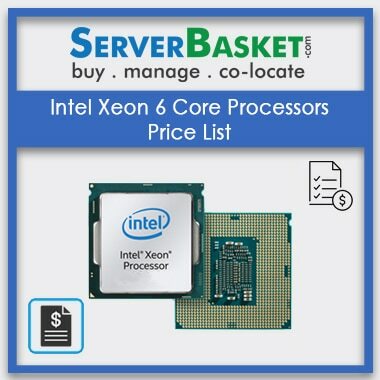 Then Check out Intel Xeon 6 Core Processors Price List & switch to Intel Xeon 6 core processors available at deal Price Online. 6 core range of CPU’s are one of the most efficient processors that can help to accelerate your data center ROI, while you save on power and cooling. The best part about these processors is that it easily adapts itself to the performance required by your software environment. Refresh your IT infrastructure by one of the best energy efficient processors. Rather than spending on a new server and blocking your budget replace the processor with the affordable Intel Xeon 6 core processors. The Complete Intel 6 Core Processor List include 6 Core intel Xeon E5-4610, E5-4617, E7-8893 v2, E7-4809 v2, E5-4607 v2, E5-2430 v2, E5-2430L v2, E5-2420 v2, E5-2643 v2, E5-2630L v2, E5-2630 v2, E5-2620 v2, E5-1660 v2, E5-1650 v2, E5-4655 v3, E5-2643 v3, E5-2620 v3, E5-2603 v3, E5-1650 v3, E5-1650 v4. These 6 core processors are perfectly engineered to adjust your server performance and power usage in real time. To know which processor would exactly fit your application and budget needs, check out our price list below. Fulfill your challenging small to midsize workloads with Intel Xeon 6 core processors. These processors support entry-level servers of all brands right from Dell, IBM, HP, Supermicro, to Cisco. Some of the Compatible Servers include Dell R420, R520, Dell R430, R530, Dell R440, R540, Dell T320, T420, Dell T630, Dell M420, M620, Dell Precison T3610, T5810 Workstation, HP DL160 Gen8, HP DL180 Gen8, HP DL360 Gen8, HP DL380 Gen8, HP DL380e Gen8, HP DL380 Gen9, HP DL360 Gen9 Server, HP DL180 Gen9, DL160 Gen9, HP DL360 Gen10, HP DL380 Gen10, HP ML350 Gen10, HP DL580 Gen10, HP Z420, Z620, HP Z440, Z640, Z840 Workstation. The processors are highly compatible with all old and new servers and are budget-friendly as well. 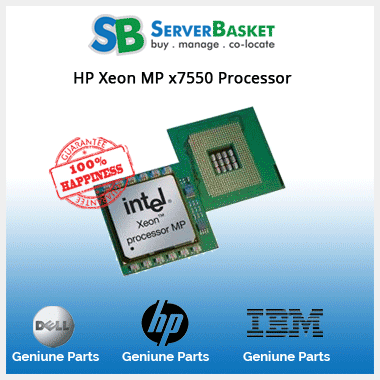 Buy CPU kit from Server Basket at a Great Discounts on Intel Xeon 6 Core Processors Price List. The CPU kit includes Intel Xeon 6 core processor, cooling fan and heat sink. These Add-ons are necessary to maintain the performance level of the processors. It works inline with the processor. But the Add-ons should be of good quality. 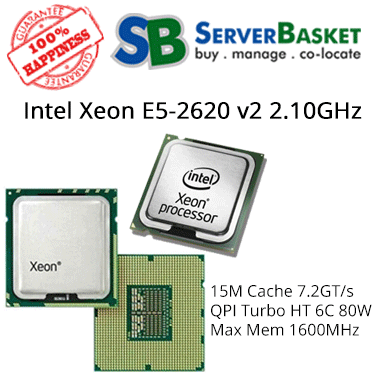 Server Basket sells genuine CPU Add-ons at a much lower cost. The Whole Intel 6 Core Processor List supports memory capacity of up to 288 GB which means you can run multiple mid-level applications with ease. Also, the maximum memory bandwidth the 6 core processors offers is up to 32 GB/s which means you get a good data transfer speed. These memory specifications are the exact requirements of start-ups and SMEs. Most of the Intel’s 6 core processors come with 2.66 GHz base frequency, 12 MB Cache, 6.4 GT/s Bus speed and thermal design power of 95W. This performance specification is ideal for the complex entry-level workloads that don’t have the requirement of heavy hi-tech performance. Intel’s 6-core processors for entry-level servers are engineered with innovative technologies that deliver intelligent performance. The technologies include Intel virtualization technology (VT-x), Intel Demand-based switching, Intel Virtualization Technology for Directed I/O (VT-d), Intel Turbo Boost, Enhanced Intel SpeedStep Technology and many more. 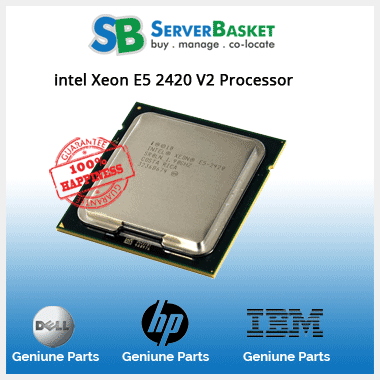 We provide delivery of Intel Xeon 6 Core processors to your doorstep anywhere in India including Hyderabad, Bangalore, Mumbai, Chennai, New Delhi, Kolkata, Pune, Noida, Lucknow, Haryana, Srinagar, Indore etc. Whether you are located in some low-lying village or some known cities, we would deliver the Intel Xeon 6 Core CPU at the least possible time. The processors would be delivered at your doorstep in the top condition without even a single scratch. Each and every processor in the Intel 6 Core Processor List, whether new or refurbished come with a warranty policy. 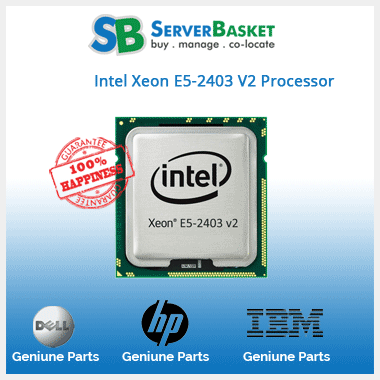 Our warranty policy states that the Intel Xeon 6-core CPU is covered with either manufacturer or sellers’ warranty for a stipulated period and is free from defects. The brand-new processors come with 1-year manufacturer warranty while the refurbished processors come with 90 days seller warranty. Authorized by Intel these processors if by chance gets failed, then you would receive a replacement of the processor without a minute delay. 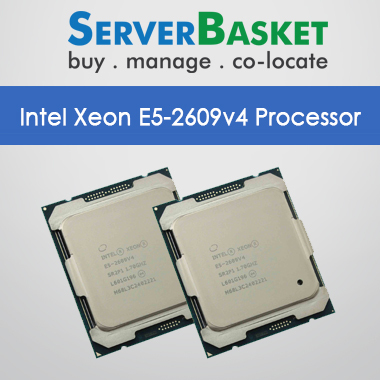 Get Complete list of Intel Xeon 6 Cores CPUs suitable for servers across all families including Scalable Processors, E-7 Family Series & E-5 Family Series. 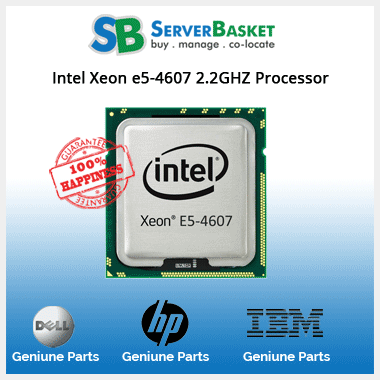 In teh table find all the servers compatible with the given processor to understand the best suited Intel Xeon 6 Core Processor CPU for your existing Server.